This bach has an awesome 'feel' to it, while in keeping with the traditional bach of yesteryear. Board games and outdoor games rather than WIFI. Large deck with outside bar from the kitchen window for entertaining. Endless beach, for morning sunrise walks or late evening sunsets. Can swim or surf all day long. Another surf beach is located at West End Ohope. Shop on the corner offers SUP (stand up paddleboard hire) also great fish n chips. Coffee or beer while you wait. Or launch your boat from either Ohope or Whakatane. Bring a road cycle there is plenty of places to ride to, or mountain biking tracks on Burma Road. A quick drive over the Ohope hill to Whakatane where there is shopping, cafes, movie theatre, pubs, bars, churches, walking trails, fast food outlets and so much more. Ohope has been our families summer holiday destination, for a very long time. The locals in Ohope have become our friends over many years of visiting. Our bach is clean, tidy and a special place to relax and enjoy. We love popping over here for a one night stay or impromptu weekend away. A great place to unwind and reset your mind. Close to beach, shop, wharf and cafe. Just the Perfect spot! Recently renovated, new wet shower installed. Well located. Has all the requirements for a great weekend. It’s a great little bach located close to the beach and just around the corner from a great café. The bathroom has been recently renovated and works really well. We enjoyed playing Kubb on the lawn out front. Glad you enjoyed your stay, perfect weather as well. We loved staying here! 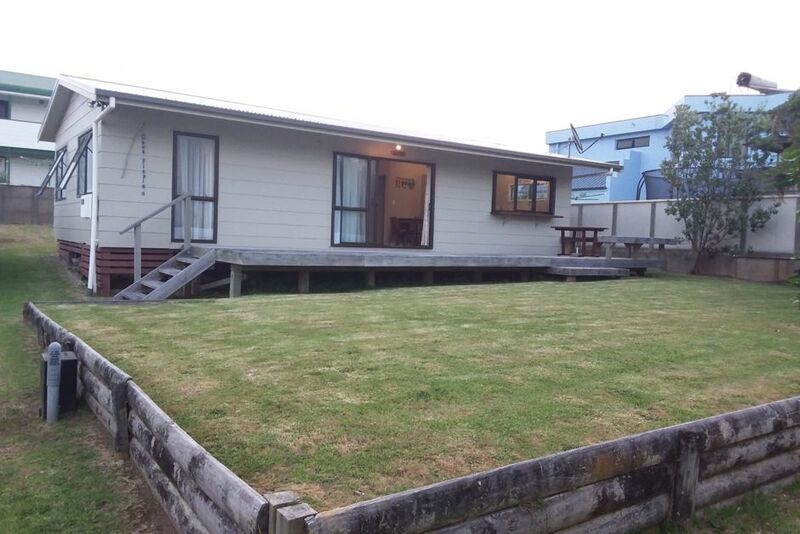 Perfect layout for two couples with kids and in an awesome location - just across the road from the beach and just round the corner from Ohope General Store (and all those icecreams). The house was very well stocked with everything we needed. We would love to stay here again! Close to the beach. Everything you need for a beach holiday.